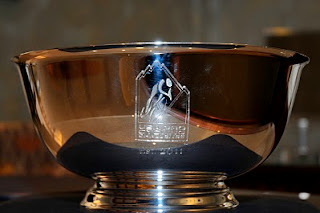 As I come back down to earth, and begin to refocus on the Vuelta a España this week, I thought I would share a few after race links and information that may be of interest from last week's USA Pro Cycling Challenge in Colorado. The Tour Tracker® applications, developed specifically for the USA Pro Cycling Challenge and sponsored by Radio Shack, called Shack Tracker, set a new record for online and mobile event coverage. Online: 127,000 unique users accessed Tour Tracker® via the website. Total launches: 581,000 launches altogether (which means fans could have averaged 4 uses per fan). Tour Tacker has also developed applications for the Tour of California, the numbers for the first year of Colorado beat their records for a race with a 7-year history. A USA Pro Cycling Challenge press release today stated that, "Over the course of the seven-day stage race, Tour Tracker use propelled the app into the top 10 most popular sports downloads on both the iPod and iPad platforms. The Android version of Tour Tracker broke into the top 50 climbing as high as 37th." 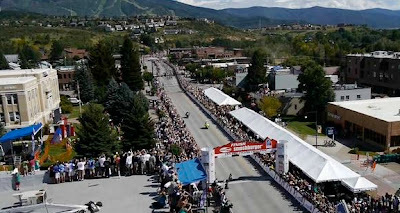 Nearly 1 million spectators viewed this race from the roadsides along the route while more than 25 million watched the race on television in 161 countries and territories, including NBC and Versus. The USA Pro Cycling Challenge was one of the largest cycling events in United States history. What were the prize winnings for the USA Pro Challenge? A number of you have been searching for these figures on my blog - look for a post tomorrow (to be linked here) with the breakdown of stage wins and overall GC winnings for the race. Jens Voigt video by VeloNews that recaps the general mood of this race: VIDEO: Jens Voigt on fishing, chillin’, and breaking away in Colorado. Fränk Schleck on riding in Colorado, by Ozcycling USA Pro Cycling Challenge - Frank Schleck. Right when you think all these post race video interviews are the same, some fan grabs his 15 seconds of glory, by Ozcycling Cadel Evans and the mysterious man in the background. Photos from Stage 2 over Cottonwood Pass and Independence Pass: 2011 USA Pro Cycling Challenge stage 2 photos by Casey B. Gibson and more by Colorado gallery: 12,000 feet with Brad Kaminski and yes, a fan did collide with a Mavic support motorcycle, knocking the motorcycle over. I'm sure we are all still thinking of Daniele Callegarin of Team Type 1 who crashed on the cattle guard descending Cottonwood Pass, how is Daniele Callegarin recovering?